There are two widely recognized types of egg donation available to those who want to become Egg Donors or receive donor eggs. You have the opportunity to choose between known egg donation and anonymous egg donation. Proud Egg Donation is the most experienced known egg donation agency in Canada and can help you navigate communication and arrangements with your Egg Donor or the recipients of your egg donation. Traditionally, eggs are donated and that is that. An Egg Donor may be told very little about the Intended Parent(s) receiving their eggs and likely would not know if a child came to be as a result of their donation. Varying degrees of anonymous egg donation can be chosen. Some Egg Donors and Intended Parents would prefer to know very little about each and maintain their privacy. Anonymous egg donation may be the right choice for you and the recipient(s) of your eggs, but only you can decide. An egg donation agreement will lay out what all parties feel comfortable with. With known egg donation you can choose the level of contact you would like. Some Egg Donors and Recipients choose to meet and exchange contact information. It can be reassuring as an Egg Donor to be periodically updated, and at the very least know if a child came to be from your egg donation. Intended Parents may prefer known egg donation so that they may confirm their Egg Donor’s attributes and qualities, be kept up to date on genetic health concerns that could affect their baby’s health and be able to offer their child the opportunity to know about their “Egg Mom”. Contrary to conventional wisdom, known egg donation is the prefered option for all parties. Proud Egg Donation encourages known egg donation for the benefits it offers Egg Donors, Intended Parents (Egg Donation Recipients), and the children who result from the gift of egg donation. Egg Donors can feel confident that they’re donating their eggs to a loving family. Ready to become a Proud Intended Parent? 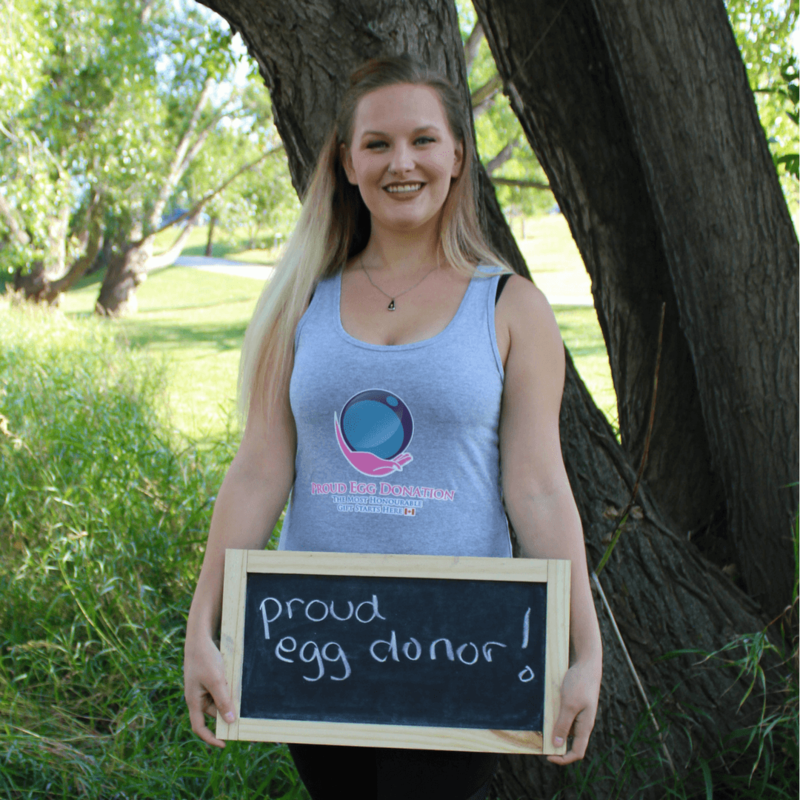 Ready to become a Proud Egg Donor?